Crabapple Royal Raindrops - Tree Top Nursery & Landscape Inc.
Royal Raindrops Crabapple has very dark, deeply cut leaves. 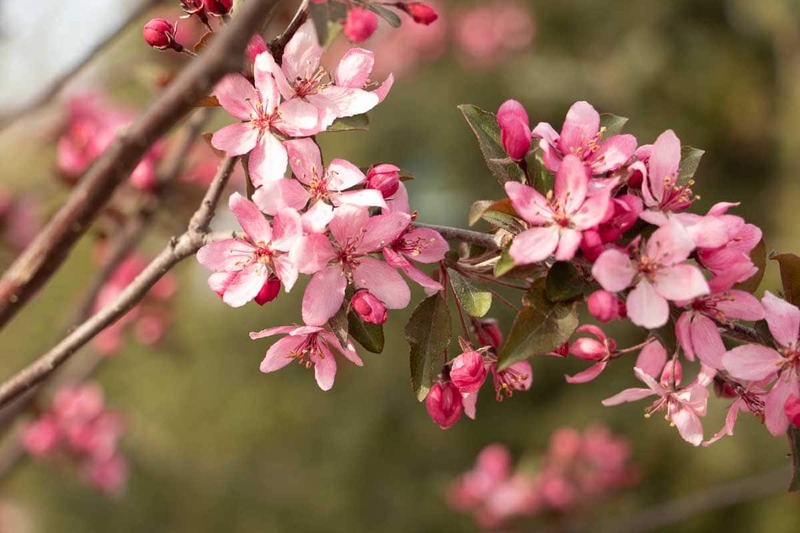 It has bright pink to red blooms in the spring that are followed by small red fruit that persists through the fall and adds winter interest. It works well as an accent plant or for small front yards. It has good disease resistance and prefers full sun and moist, well-drained soils.